On August 21, I’ll be viewing the total eclipse from a location just north of Kansas City. I’ve never seen a total eclipse, and probably never will again (well, maybe in 2024). I have relatives in the Kansas City area, so I don’t have to fight for a hotel room (Thanks, sis!). I already bought my ten-pack of eclipse glasses. The last challenge is the weather: clouds could ruin the experience. Let’s hope for clear sky! The internet has much information about how to view the eclipse safely. It is one of those topics where physics and medicine collide. 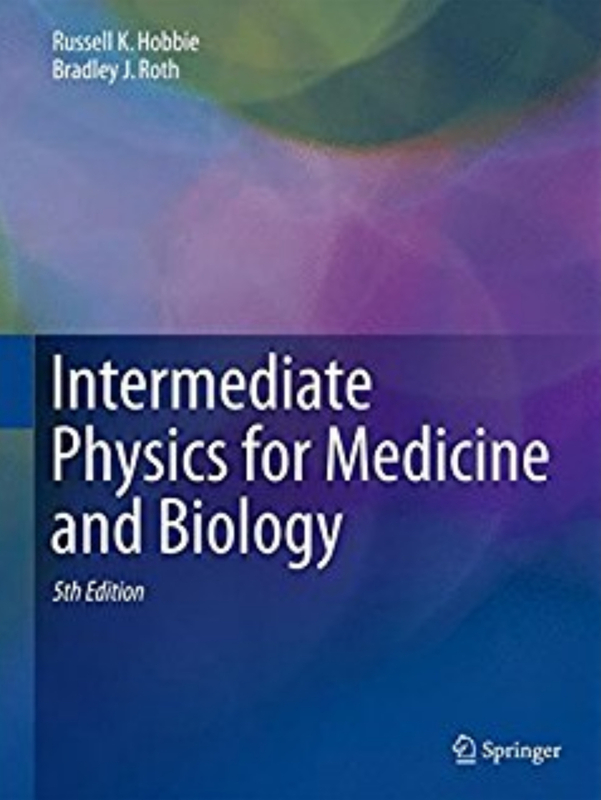 In Chapter 14 of Intermediate Physics for Medicine and Biology, Russ Hobbie and I discuss the eye and vision. I won’t nag you about all the safety precautions. You can learn about them here. How intense is the light reaching the retina when you stare at the sun? The intensity of sunlight at the earth’s surface is about 1 kW/m2, or 1 mW/mm2. The radius of the pupil is about 1 mm, and its area is approximately 3 mm2. Therefore, about 3 mW impinges on the retina. To calculate the size of the image spot, treat the eye as a lens (Fig. 14.39a in IPMB). The earth-sun distance is 1.5 × 108 km, the sun radius is 7 × 105 km, and the pupil-retina distance is about 22 mm, implying that the radius of the sun’s image on the retina is (22 mm)(7 × 105)/(1.5 × 108) = 0.1 mm, for an area of about 0.03 mm2. The intensity on the retina is thus 3 mW/.03 mm2, or 100 mW/mm2. This intensity will do damage. Incidentally, if a 0.5 mW HeNe laser beam is directed into the eye and is focused to a spot with a radius of 0.04 mm, the intensity will be about the same as staring at the sun. Therefore, be as careful when playing with lasers as you are when viewing the eclipse. Both can be unsafe if you are careless. The light from the sun is about one million times as intense as the light from a full moon. The light from the sun’s corona, visible during a total eclipse, is about as bright as the full moon. So, when the eclipse is 99.99%, the sun is still one hundred times as bright as the moon. It is only when the eclipse is total that you can gaze at it safely. That's why I’m not going to Lawrence, Kansas—home of my alma mater the University of Kansas—for the event; there the eclipse is only 99.3% complete. (Vanderbilt, where I obtained my doctorate, is in the path of totality; my PhD advisor John Wikswo can watch it from his back yard.) We will drive for an hour (perhaps more, if traffic is snarled) to where the eclipse is total. If you want to learn more, I suggest the “Resource Letter OSE-1: Observing Solar Eclipses,” written Jay Pasachoff and Andrew Fraknoi, and published by my favorite journal: The American Journal of Physics (Volume 85, Pages 485–494, July, 2017). Location: Hannah Hall, Oakland University, Rochester, Michigan.